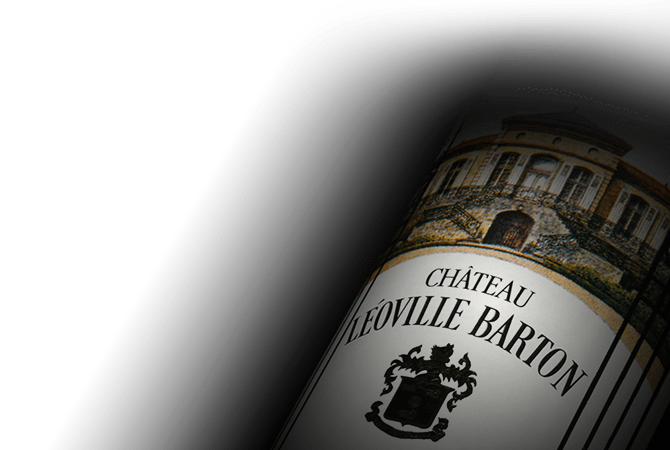 Considered one of the best of Saint-Julien, Second Growth Chateau Leoville Barton extends over 50 hectares of exceptional sandy-clay soil vineyards located in the eastern part of the appellation. Leoville Barton has been in the Barton family since 1820's with Anthony Barton leading the Chateau since the 1980's, reaffirming its reputation for quality. The wines produced from the estate are sturdy and structured when young, with tannin that requires time to develop. Due to its masculine style the best vintages often require 15 years before drinking well. Planted at a density of 9,000 vines per hectare, the vines are on average of 35 years of age however there are parcels with older vines. A blend of 74% Cabernet Sauvignon, 23% Merlot and 3% Cabernet Franc, Leoville Barton wines are generous and powerful while possessing an irresistible elegance and expressing an incredible finesse.